My first review can’t possibly not be of Café Calin. 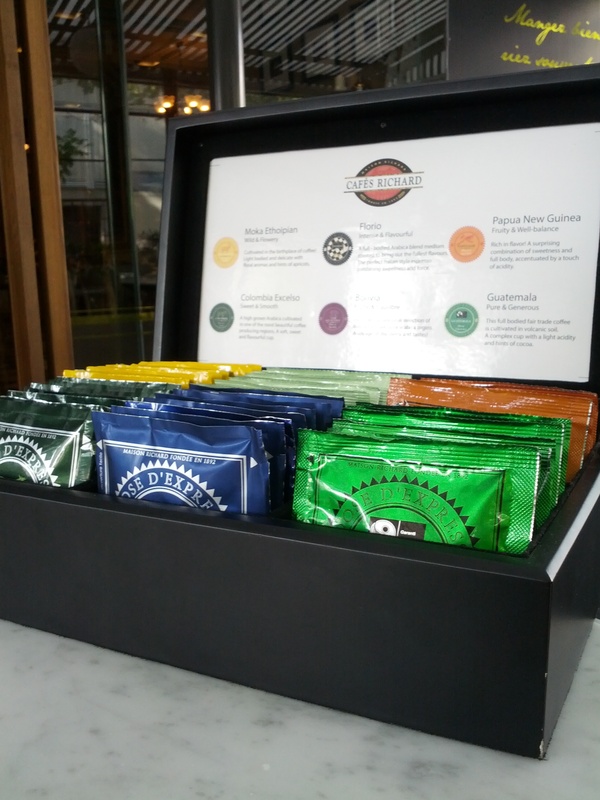 If you’ve read my post On Coffee, you’d know what a coffee fanatic I am. Looks like Paris. Feels like Paris. You know I really like an inanimate object (such as a restaurant) when I refer to it as a person. 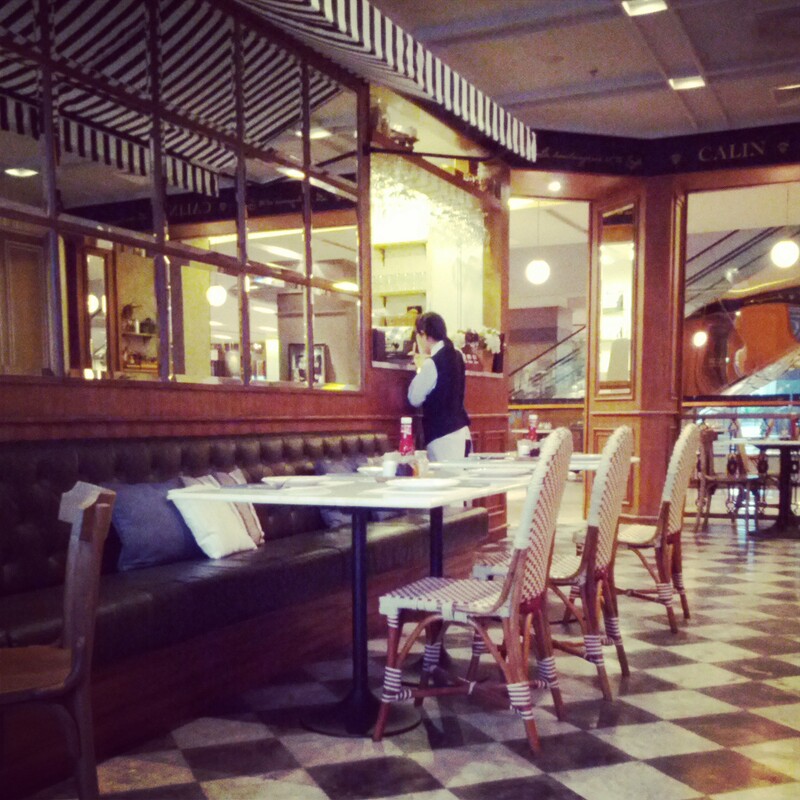 And Café Calin is a she. I’m not going to bother with the back story of the restaurant. I’m sure it has been covered elsewhere. Everyone I’ve talked to about the place seems to know it. So I’m going to assume it’s famous, do away with the who-what-when-where-why, and tell you my story of Calin. Why do I love her so? The coffee. I ordered coffee, and this is what arrived. Today was green coffee’s turn. Here’s a picture of a coffee. This being a French café, they – of course – have pastries. I’ve tried their croissant and pain au chocolat so far, and though neither’s the best in the world, they both are quite decent (which is a lot coming from me – a.k.a. stuck-up girl who lived in Paris for a year and consequently thinks she’s the authority on all things French). 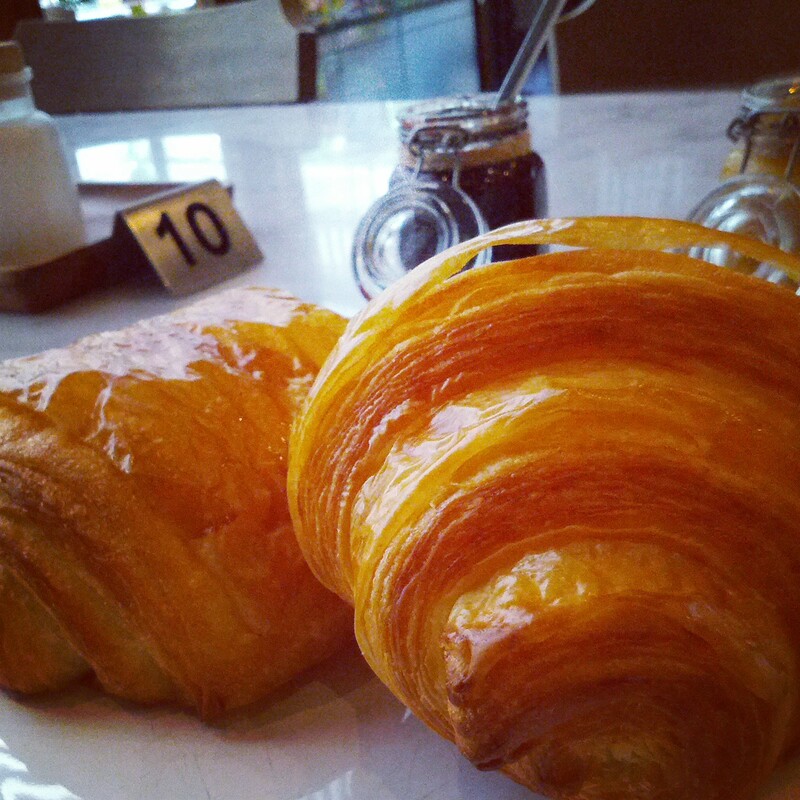 Freshly baked croissant and a pain au chocolat. 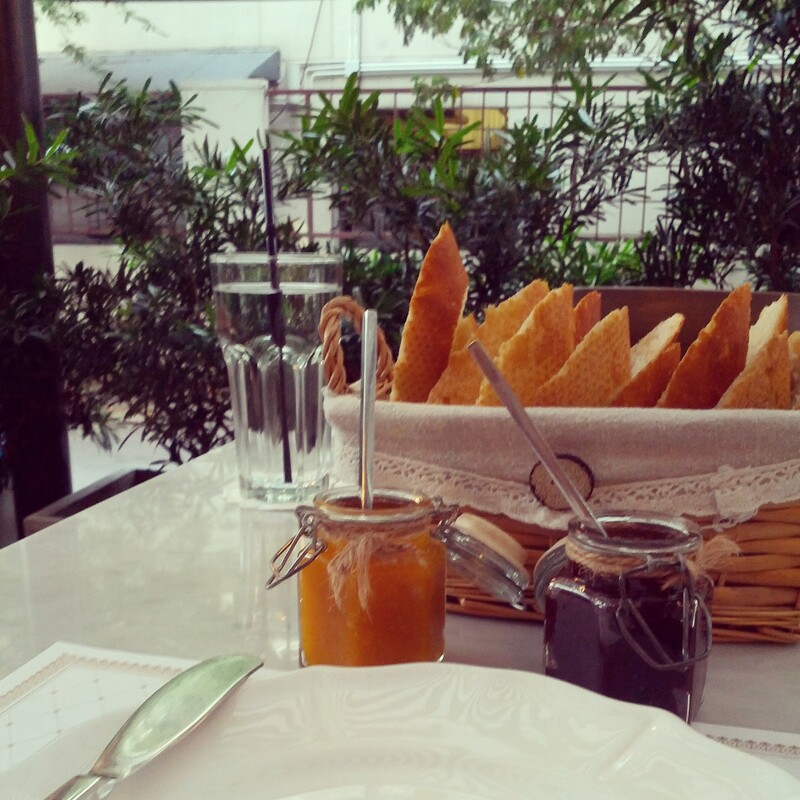 Fresh baguettes and home-made jams. 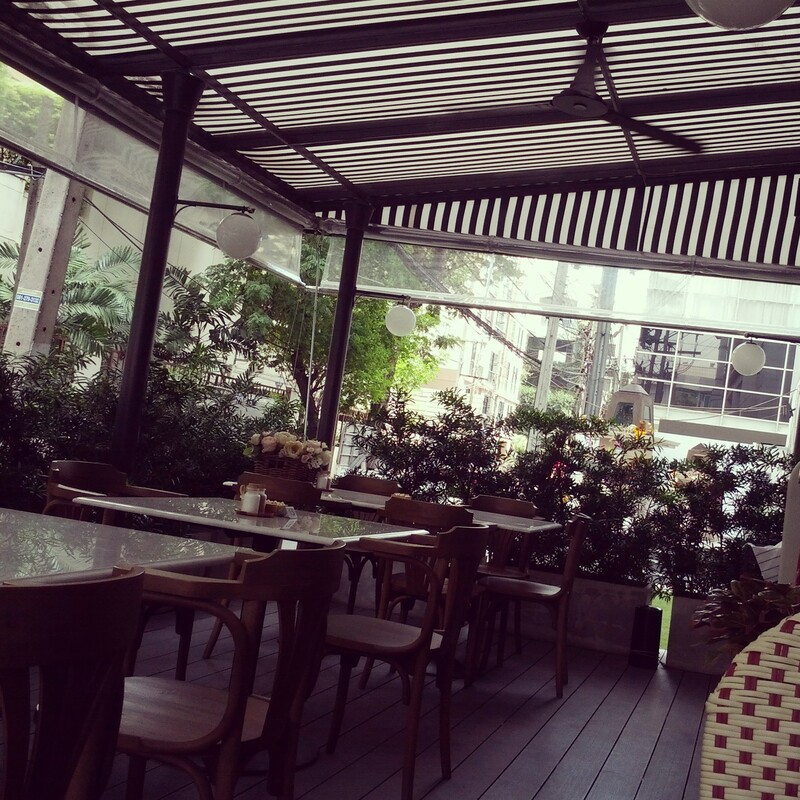 Now, only coffee and jam don’t suffice to make this my favourite place in Bangkok. I’m harder to please (or so I’d like to think). What did it for me is the atmosphere. The café has a proper outdoor area, a sizeable balcony with lounge chairs and round marble-topped tables, with large overhung fans which effectively simulate the feel of a cool breeze (see below). I’m not sure how hot it gets in April, but every time I’ve been this year (October-December) I’ve been able to sit comfortably, and blissfully, outside. That the café doesn’t overlook the main street is probably a plus in this respect. Cars pass from time to time, but not nearly enough to make you feel distressed at having to inhale car fumes over your coffee. Favourite outdoor corner in Bangkok so far. To sum things up, and because I like bullet points, here are some bullet points. 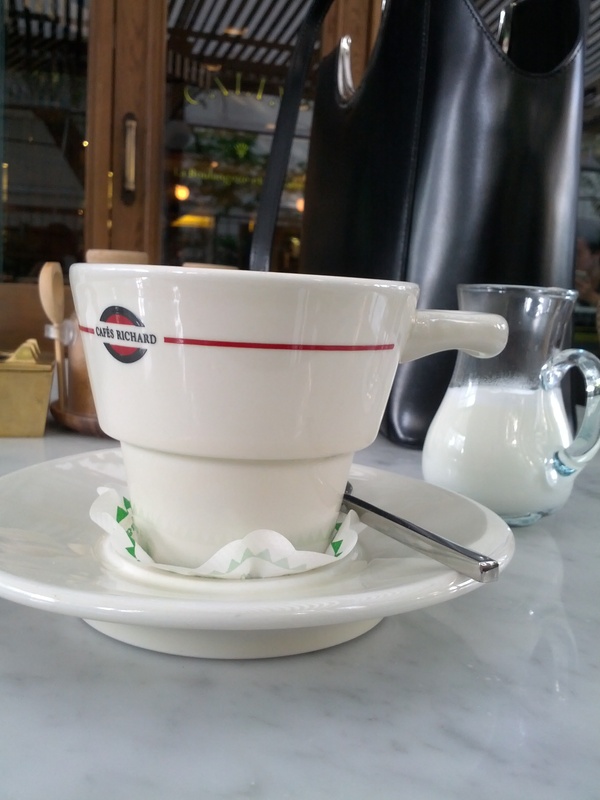 the coffee: try out their selection of coffees – I recommend an americano, though some of their coffees are better suited to espressos. If in doubt, ask the waiter/waitress who brought you the box. They’re all pretty clued up. the staff: call me old-fashioned, but I believe the heart of the restaurant is its food and its service, equally. The staff I’ve come in contact with are quietly efficient, fast, and amiable. I wouldn’t ask for more. they have tap water. And they ask if you want ice with your water. And they refill your glass when it’s empty. 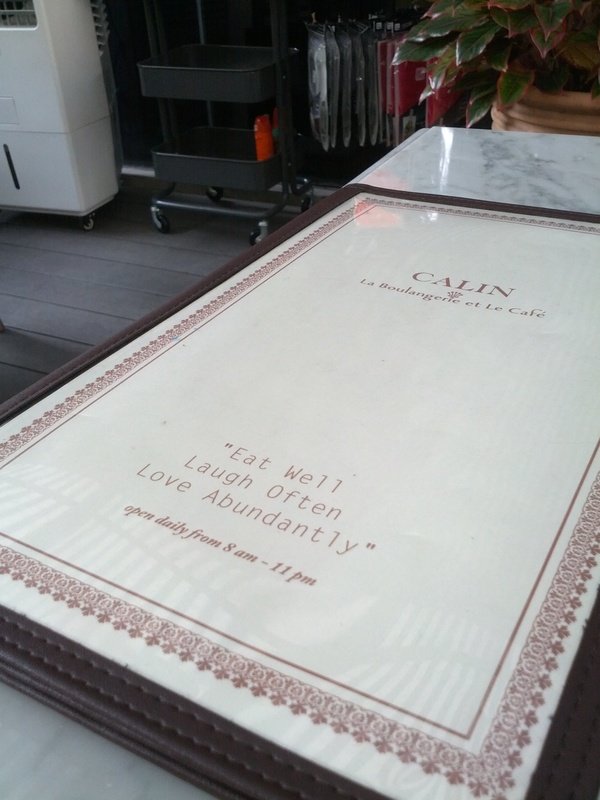 So that’s my very much biased review of Café Calin. For more information, do visit her Facebook page here. Have you been? Did you like it? Do share your thoughts. And to end this first-ever review, I’d like to borrow some wise words from her menu. No plagiarism intended.